Figure 61. Pettersson device for the measurement of oxygen and nitrogen in sea water. This device was developed by Professor Otto Pettersson who used it at the Hydrographic Station at Borno, Sweden. With this apparatus one could measure the oxygen, nitrogren, and carbon dioxide content of sea water. 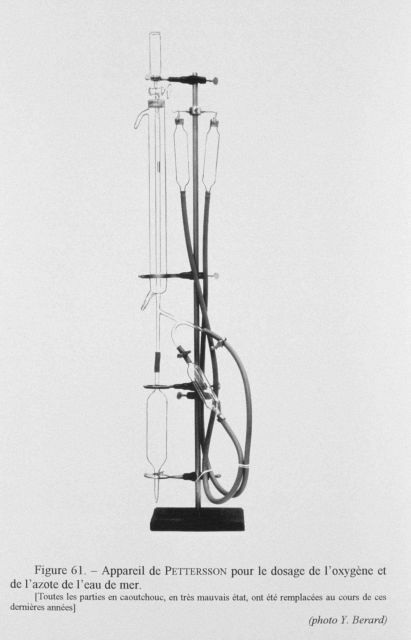 This instrument was first described in 1891.